The highlight of Ole Gunnar Solskjaer’s caretaker stint at Manchester United was the PSG comeback in the Champions League. On Wednesday, his Red Devils faced the fruit of that comeback in the form of Barcelona, who defeated them 1-0 at Old Trafford. The game was a positive one for the home side despite the loss and conceding the away goal, as they managed to contain Barcelona quite well, except for the run of passes that culminated in the Luke Shaw own goal. 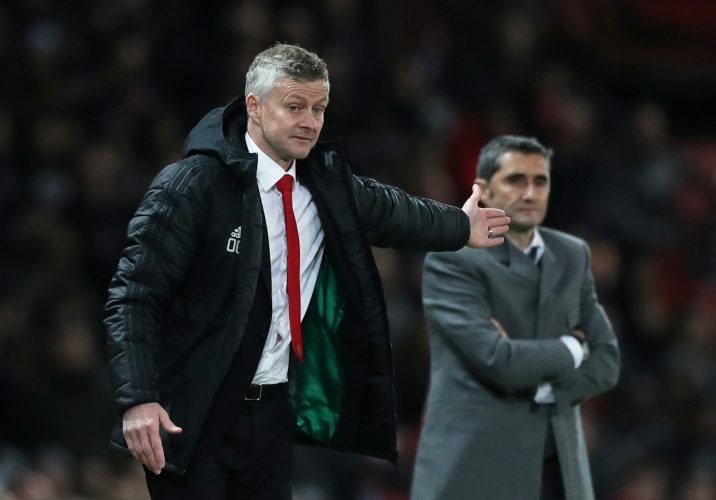 Speaking after the game, Solskjaer had this to say about the result: “There are pluses and negatives. I thought we started a bit sloppy, a bit nervous. We didn’t put pressure on them after the goal but then we settled. We played well. The Norwegian went on to add: “We didn’t start great. They scored a great goal, there was great movement by Messi and Suarez and they’re fortunate that it comes off Luke [Shaw] and changes direction. When quizzed about United’s game plan for the away leg, Solskjaer chose to remain optimistic, and reminded himself of United’s reputation of coming back from such defeats. “We’re playing against a great team. It’s a tough one but we’ve done it before. We’ll go there with the knowledge that we can score over there,” said the Mancunian gaffer. The Camp Nou hosts fond memories for the club legend, and it will be interesting to see if the venue can add another one for the gaffer.